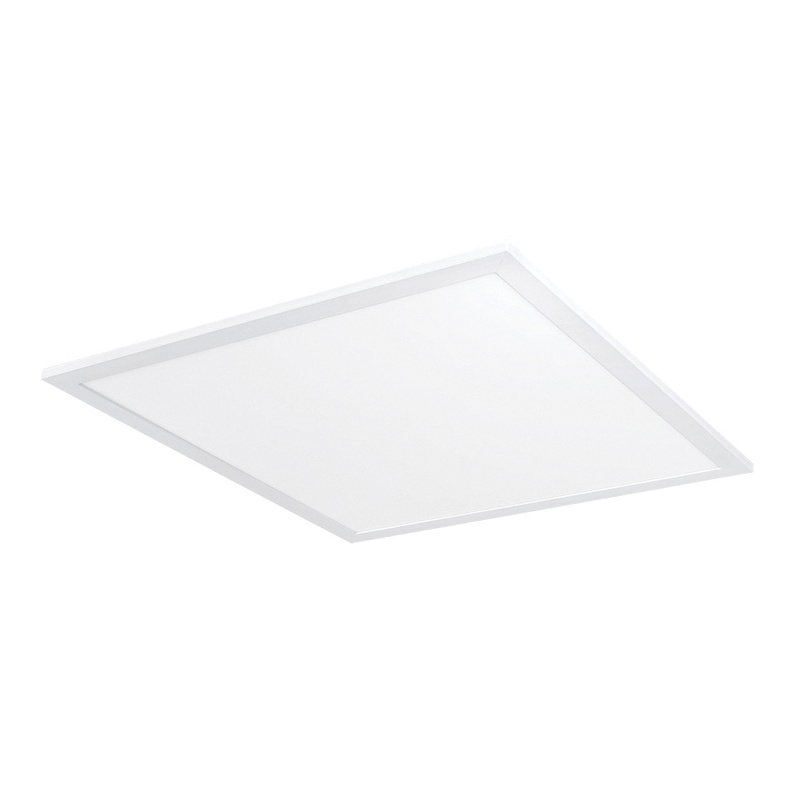 Rab Edgelit Collection Standard LED panel light in white finish, has lightweight aluminum housing, steel pan and junction box for added durability. The frosted polystyrene lens shade ensures uniform light distribution. It has THD of 11.8% at 120-Volts, 7.5% at 277-Volts and efficacy of 114.8 LPW and equivalent wattage of (4) F32T8/F28T5 fluorescent lamps. The recessed ceiling-mount panel light can accommodate LED lamp that delivers a light output of 3434-Lumens with 3500K color temperature and 82 CRI. It has a voltage rating from 120 to 277-Volts AC. It has an average life of 60000 Hours. It features constant current, class 2, 0 to 10-Volt dimming driver, dimmable to 10%. It measures 2-ft x 2-ft x 2.5-Inch. It comes with emergency battery backup. LED panel light meets UL, DLC, IESNA LM-79, LM-80 and TM-21 and RoHS standards.